For someone who has been charged with a driving under the influence offense, there may be several defenses that can be raised in court. While many of these defenses are asserted during a defendant’s DUI trial, there are some arguments that can be presented prior to trial. In DUI cases, there may be cause to file a motion to suppress evidence pursuant to California Penal Code Section 1538.5 PC. 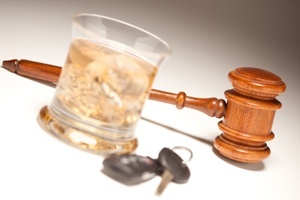 If granted, the DUI suppression motion can lead to the charges being fully dismissed. A suppression motion is a written motion that is filed with the court and then argued by the prosecution and defense at a subsequent hearing. The suppression motion challenges the validity of the defendant’s vehicle stop or arrest in a DUI case. While suppression motions under California Penal Code Section 1538.5 PC can be filed for many different types of criminal cases, they are frequently submitted in DUI cases. Under the United States and California Constitutions, people are protected against “unreasonable searches and seizures.” In the United States, law enforcement officers cannot simply arrest or detain anyone without reasonable or probable cause to believe that the person is engaging in criminal activity. In the context of DUI cases, this means that an officer cannot pull a vehicle over simply because it is late at night or the officer has a feeling that the driver is intoxicated. The officer must have reasonable cause to stop the vehicle for the stop to be constitutionally valid. Usually, the reason for the traffic stop will be a traffic violation that the officer observes. This can include speeding, failing to come to a complete stop at a stop sign and even equipment violations. Once pulled over, the officer will speak with the driver. If the officer observes signs of intoxication, such as bloodshot or watery eyes, slurred speech or the odor of alcohol, the traffic stop will expand into a full DUI investigation. If the officer ultimately has sufficient probable cause to believe that the driver is under the influence of drugs or alcohol, the driver will be arrested and taken to the police station for additional chemical testing. If the officer did not have reasonable cause to pull the driver over, all resulting evidence may be suppressed under California Penal Code Section 1538.5 PC. Once a motion has been filed, a hearing will be scheduled in court. The prosecution will present its witnesses, who are usually the officers involved in the arrest who can testify regarding the driving conduct. The defense is given an opportunity to cross-examine the officers and can also present evidence and call witnesses. After presentation of evidence and witnesses, both parties will have a chance to make arguments and the judge will render a decision. If the judge grants the defendant’s suppression motion, all evidence will be suppressed. At that point, the prosecution usually will dismiss the case as they are unable to proceed. In the past, DUI suppression hearings relied completely on the testimony of the officers and their recollection of the defendant’s driving conduct. Defense attorneys struggled because they had trouble disproving an officer’s account of the vehicle stop or arrest. However, an increasing number of law enforcement agencies now install dashcam videos in patrol vehicles. These videos can be requested through the DUI discovery process and often show that the officer’s observations or recollections may be faulty. The judge will often view the dashcam videos during the suppression hearing in order to determine whether or not the stop was valid. Of course, in many cases the video is also powerful evidence for the prosecution in cases where the defendant clearly was in violation of state traffic laws. If you are facing DUI charges, it is critical that you discuss your case with a Los Angeles DUI Attorney as soon as possible. There may be serious issues with the vehicle stop or arrest that require the assistance of a skilled and experienced DUI lawyer. As a former Deputy District Attorney with over 14 years of prosecutorial experience, Attorney Michael Kraut knows how to effectively litigate DUI suppression motions and is highly regarded by prosecutors and judges as a top criminal litigator. For more information about Los Angeles DUI suppression motions, and to schedule your free consultation, contact Michael Kraut at the Kraut Law Group located at 6255 Sunset Boulevard, Suite 1480, Los Angeles, CA 90028. Mr. Kraut can be reached 24/7 at 888-334-6344 or 323-464-6453.